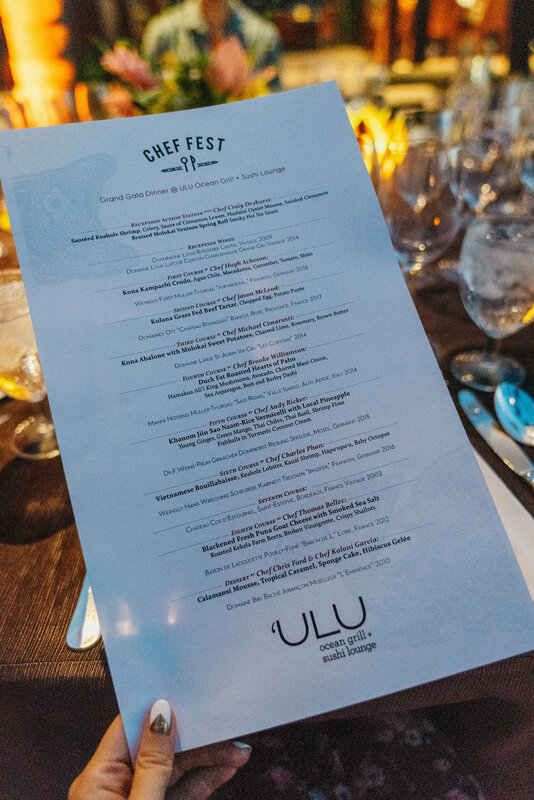 Chef Fest at the Four Seasons Resort Hualalai was an unforgettable <culinary> experience. FS Hualalai is one of those resorts truly un-matched in its class. 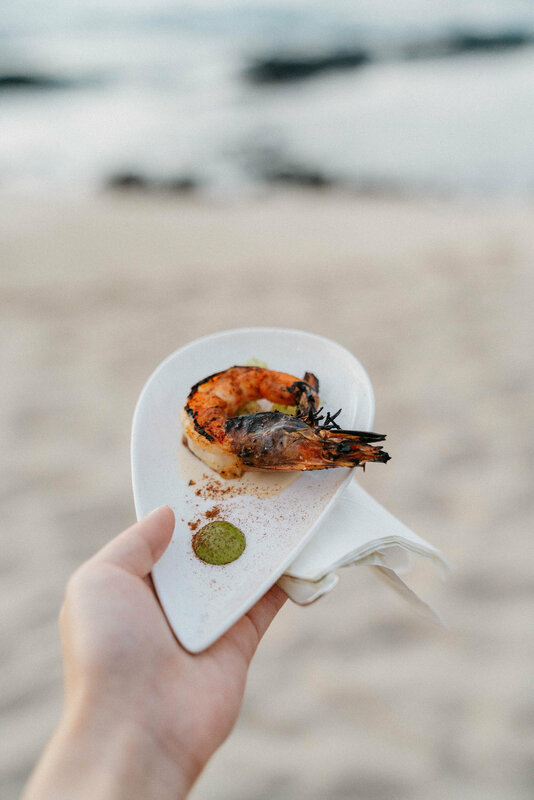 The property works with more than 160 farmers, fishermen, and ranchers on the island, and the culinary team on property are leaders in sustainable dining. All of the Resort’s restaurants highlight local ingredients, 75% of which come from Hawai’i island. From the stunning environments to the level of service provided, Four Seasons Resorts always leave me in awe, and this time was no exception. I am so thankful to the FS team as well as all of the staff for being so kind and making our stay absolutely wonderful. Our bedroom in the ocean view suite! Learned to make a Thai shrimp dish at the All-Clad Cooking Academy in the Herb Garden – Andy’s specialty! Met the most handsome labs! Made ginger beef vermicelli and shrimp & chayote stir-fry, while listening to his life story! So much respect…. can’t wait to visit The Slanted Door again someday. Relaxed with a great hot stone massage and really enjoyed the steam room – it was super intense in the best way possible. Final dinner of the week with all the chefs, which was absolutely incredible. 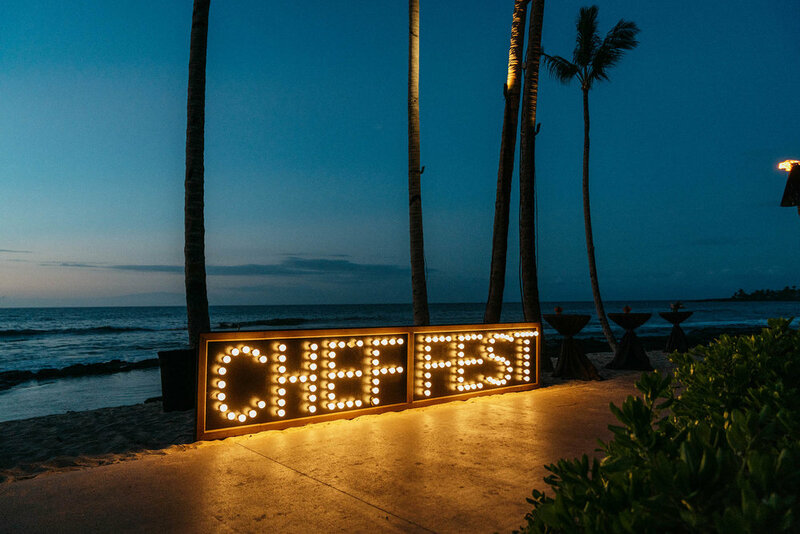 All the award-winning guest chefs this year as part of Chef Fest hosted intimate events, dynamic cooking classes, and world-class culinary experiences throughout the week at multiple locations at the ocean-front Resort. 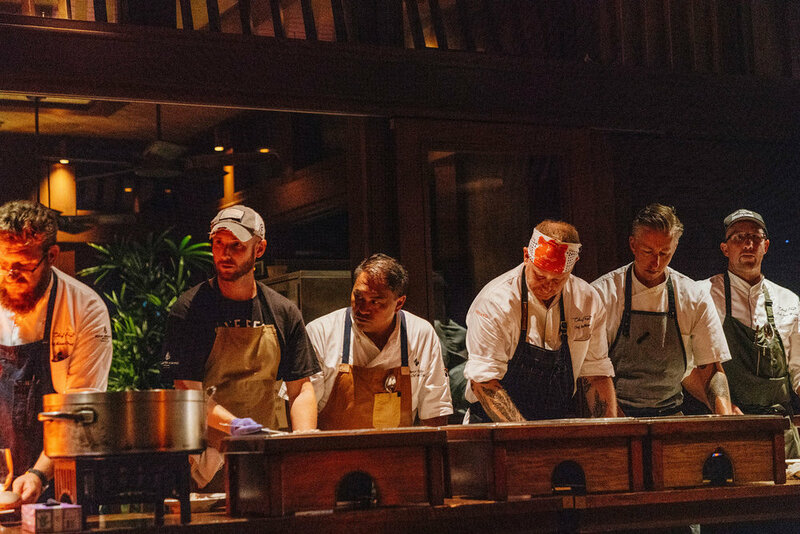 I was so happy to have been in the company of chefs Charles Phan, Andy Ricker, Craig Dryhurst, Thomas Bellec, Michael Cimarusti, Brooke Williamson, Chris Ford, Hugh Acheson, Kalani Garcia, and Jason McLead. Mixologists Tony Abou-Ganim, Julie Reiner, Kyle Reutner, and Chandra Lucariello also featured delicious drinks at the Patron Lounge at Palm Grove Pool daily. 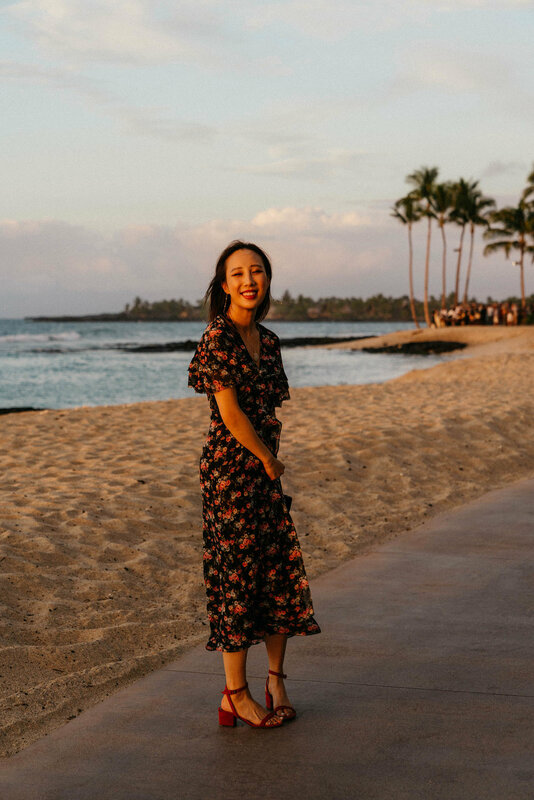 We participated in a handful of events that were offered as part of the event program, with plenty of time to spend exploring the Big Island, enjoying the amenities on property, and relaxing on the beach. Another photo diary covering the Big Island is coming soon, but wanted to recap the event here first while it is still fresh in my memory! As always, ‘till we meet again… aloha! In collaboration with Four Seasons Resort Hualalai; thoughts and opinions are my own.